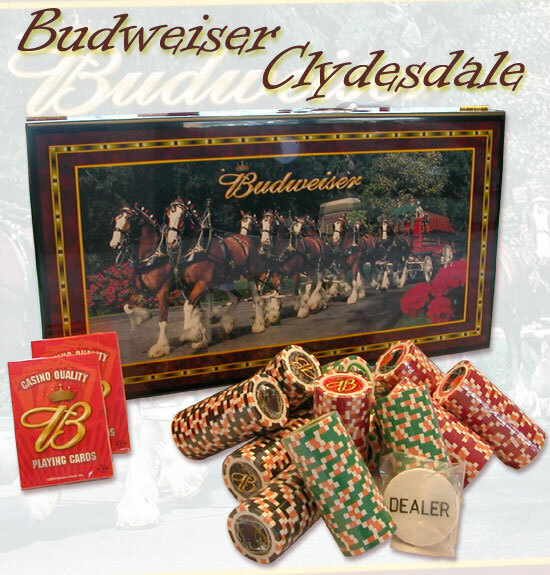 We can personalize your Budweiser Clydesdale poker chip set to make this a truly memorable gift for someone special in your life. 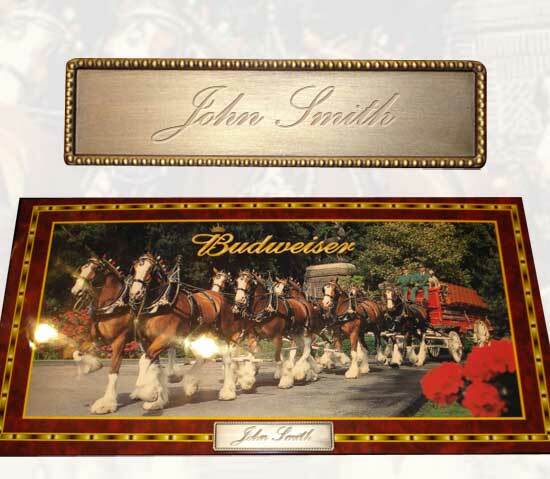 A heavy antique brass finished plate with beaded border detail bearing your preferred personalization blends beautifully with the lacquered box image, adding the perfect finishing touch. It’s a gift you will be remembered for always! 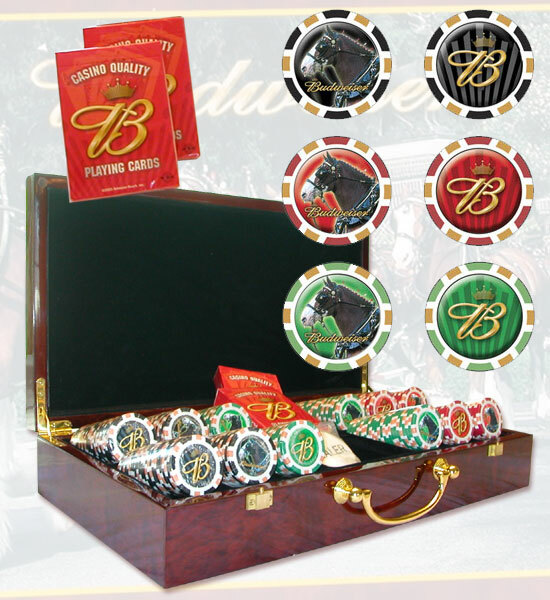 message us with your personalization.